Fjords Scandic DR Frame Recliner in Cacao Soft line Leather. 41 in. H x 31 1/4 in. W x 29 3/4 in. 42 1/4 in. H x 33 in. W x 30 in. 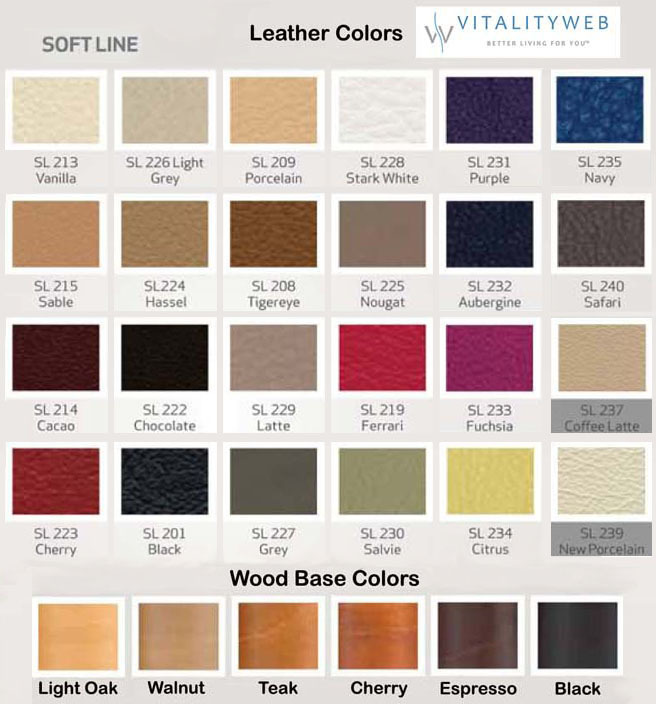 Fjords Scandic - Soft Line Leather - Plush seat and back cushions for a more comfortable seating experience. 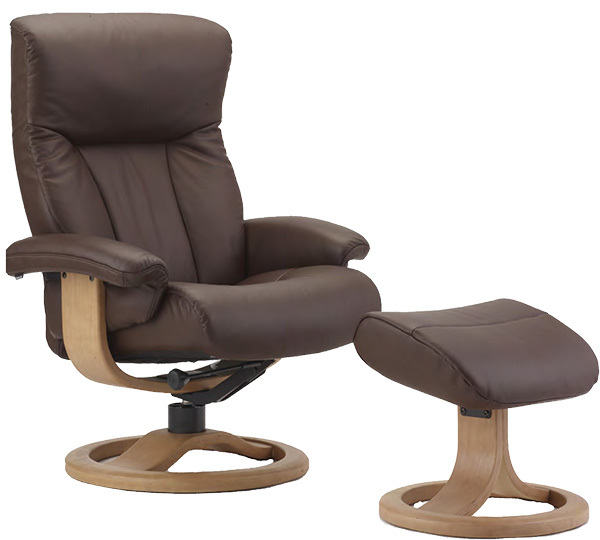 Genuine Fjords Leather Scandic Recliner and ottoman features the Fjords Active Release System. It is a unique integrated mechanism providing the best support for the neck. When desired, it can be adjusted with a single movement to optimize your sitting experience. It is an ergonomically designed chair that provides continuous support and comfort. It helps to prevent your legs and back from getting tired, relax your body and enable your blood to circulate more freely. It is designed to support your spine more correctly comfortably in the correct angle. Fjords utilizes cold cure molded foam in the seat, back, armrest and ottoman. Cast molded cold cure foam retains its suppleness longer than standard block molded foam in order to retain its durability and physical appearance. 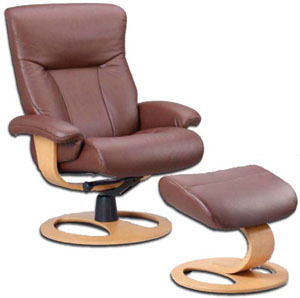 The unique gliding mountings that are built in to the chairs provide he best individual resting position. The weight of the body determines the chair position. Laminated wood base available in five finishes (Teak, Cherry, Walnut and Espresso). SMALL approximate Dimensions: 41 in. H x 31 1/4 in. W x 29 3/4 in. D and Seat Height: 18 3/4 in. LARGE approximate Dimensions: Dimensions: 42 1/4 in. H x 33 in. W x 30 in. D and Seat Height: 18 3/4 in.